Some times things just add up and you get the perfect picture…..you can call it a kind of zen moment. Had one of those moments with my FujiFilm X100T at Halskov when I was photographing the sunset over Storebælt bridge. 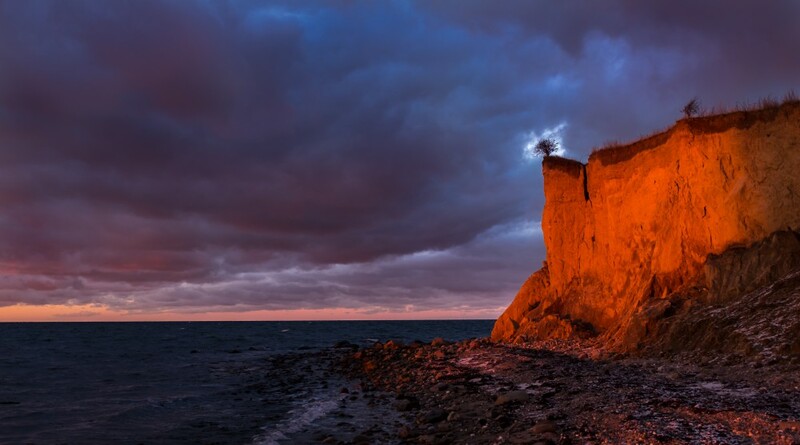 Suddenly I turned around and saw that the cliff was all red from the sunset…and along with the contrast to the dark sky and sea it created a nearly surrealistic picture when the moment happens where the hole in the clouds passes the little bush on top of the cliff.